The history of Government in South Africa makes interesting reading. When the Dutch arrived in the 1650's it was to start a garden. At the time they had no intention of colonising South Africa but as word of the garden grew, more and more ships called at the Cape to get fresh food and water for their crews and passengers. The Dutch East India Company (VOC) seeing a profit in selling their fresh produce started extending their operations. They imported slaves from Indonesia and Africa and landed them at the Cape where they were put to work in the gardens. Later officials of the VOC whose contracts had ended requested permission to stay on at the Cape and were allocated farms. The “ Free Burghers” the name they came to be known by soon took over production of fruit and vegetables in the Cape allowing the VOC to downscale their own farming activities. With the increase in size of the population at the Cape it soon became necessary to implement a proper system of government. The VOC then appointed Pieter Hackius as the first governor of the Cape on the 25 March 1670 . Previous governors were known as Commanders of the Cape settlement. In 1795 Dutch rule came to an abrupt end when the British invaded the Cape and took over the reigns of government. In 1803 they were forced to return the territory to the Dutch but in 1806 when the French invaded Holland, the British once again attacked the settlement at the Cape and took over the reigns of Government. The reason for their actions was to keep the sea route to India out of the hands of Napoleon. Once entrenched at the Cape the British appointed Sir David Baird as their first Military Governor of their new colony. Official recognition and handing over of the territory to the British by the Dutch happened in 1814. British rule was soon extended to the rest of South Africa as the Transvaal, Orange Free State and Natal were attacked and subjugated by the British forces that were brought in to protect British interests. In 1910 it was decided that all four of the provinces would be included into a union that became known as the Union of South Africa. With the Union being established a Bicameral Parliament consisting of a Senate and a House of Assembly were installed to rule the country. Senators were elected to the senate by members of the four Provincials Councils being Transvaal, Orange Free State, Natal and Western Cape. The members of the House of Assembly were elected by a mainly white electorate. 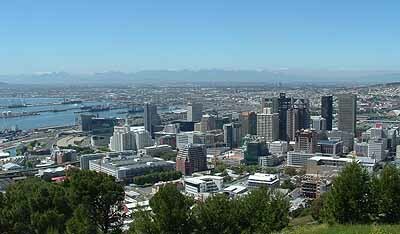 At the time of the formation of the Union there was a dispute as to which city would be the capital of South Africa so a compromise was reached. 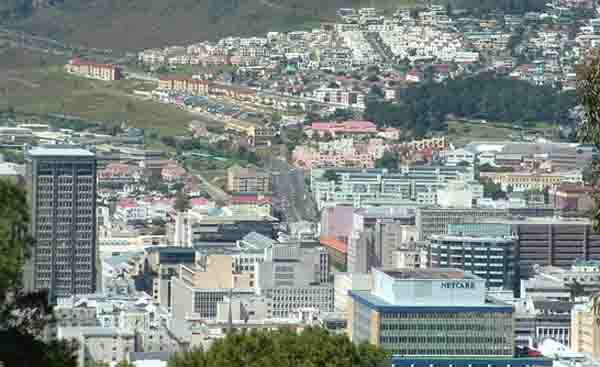 Cape Town was appointed the legislative capital, Bloemfontein the judicial capital and Pretoria the administrative capital. Natal being left out, received the Durban port to make up for financial losses that would occur by not being appointed as a capital. The capital city of Natal being Pietermaritzburg. During the period of British rule from 1910 onwards a number of discriminatory laws were passed beginning with the 1913 Land Act followed by the pass laws in the Cape Colony. These laws restricted the movement of Black people from their tribal regions into areas occupied by whites or coloureds and prohibited their movement from one district to another without a signed pass. In 1948 the National Party won an election on a policy of racial segregation and “Apartheid” began in earnest. The government needed to change the constitution to entrench the new laws they had enacted so did some underhand maneuvering to ensure that they had a two thirds majority in the senate. Firstly they increased the membership in the senate and also decreased the voting age of voters from 21 to 18 to manipulate any elections. A surfeit of new discriminatory laws were then introduced and passed by the senate. The first Apartheid law to be enacted was the Group Areas Act in 1950 and it was followed by a host of other laws entrenching the seperation of the different race groups in South Africa. The new laws caused many problems for people of colour as they were thrown out of homes thay had lived in for years and moved to areas where they were far away from their places of work. Ultimately over 600000 people were forcibly removed across the country. In 1959 the Coloureds lost their voting rights. Then in 1961 Dr H F Verwoerd called for a referendum where voters were required to vote for South Africa to become a Republic. 52% of white voters voted yes in the referendum and South Africa duly became a Republic. No major changes occurred in Parliament once a republic had been declared but a few minor changes happened. The mace in the House of Assembly which had a British crown on it was removed and replaced by a new South African designed mace. Portraits of British Royals were also removed from the walls of the Houses of Parliament. Life carried on under Apartheid rule until the early 1980's when pressure started to build on the South African Government. Sanctions, terrorism and civil disobedience were just a few of the problems that faced South Africa. The government was placed in a position where it had no alternative other than to face a civil war or change its policies. They began a period of change by firstly implementing a Tricameral parliament in which the Coloured population were given back their vote. Homelands were declared for the various black tribes where they were given the power to run their countries albeit under the control of the South African government. None of these changes worked and soon the SA government found itself between a rock and a hard place. President F W de Klerk saw the writing on the wall and decided to open negotiations with the ANC and Nelson Mandela. To do so he unbanned the banned political parties and released Nelson Mandela and many of the political prisoners that were being held on Robben Island and elsewhere in the country. In 1990 after Nelson Mandela was freed negotiations began in earnest. Soon afterwards a democratic election was announced and early in May 1994 the election was held where everyone in South Africa was allowed to vote. The voting lasted a number of days as people struggled to get to polling stations and stood in long queues waiting to vote. When the results were eventually announced the ANC had won the election and were allowed to form a government. Nelson Mandela became the first black president in South Africa. The first five years of power was shared with the Nationalist Party and others in a government of National Unity in an effort to have a smooth changeover of power. Since the first election there have been two more and the ANC has increased its majority each time. The introduction of true democracy to South Africa has brought about many changes since the first election in 1994. All the discriminatory laws introduced by the British and the Nationalist government have been removed from the statute books and people now have freedom of movement and many rights they never had before. Since 1994 South Africa has come along way. Sporting ties have been re established with many overseas nations, South Africa has won the World Cup Rugby competition and has been given the opportunity to host the 2010 World Cup. Although there is still much to be done to relieve the plight of many of the South African population people are flocking to see what has already been done. Why don't you join them as your visit will help to establish jobs for the unemployed.